Thank you so much (and a little gift for you)! 1.You are one of the silver early adopters! Your effort is rewarded with an original Catalan tile alredy restored by us plus its historical-artistic and scientific report. 1.You are one of the gold ealy adopters! Your effort is rewarded with an original Catalan tile alredy restored by us plus its historical-artistic and scientific report. You will receive an original “The Tile Hunter Barcelona” t-shirt. 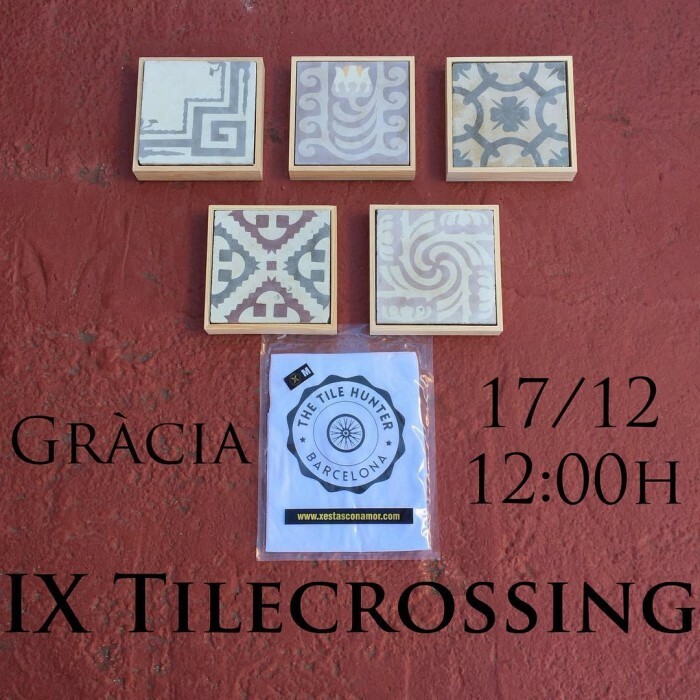 1.You will be one of the 10 lucky people that will partecipate to an exclusive Catalan tile full immersion day: hand tailored tile-crossing, visit at our huge tile collection, learn how to give new life to tiles and how to analyse their morphology and colorimetry. 2.Even more, you will rewarded with an original Catalan tile alredy restored by us plus its historical-artistic and scientific report. 1.You will be one of the 10 lucky people that will partecipate to an exclusive all-inclusive workshop on technical and scientific study, and conservation of Catalan hydraulic tiles: from the cleaning process to morphologic and colourimetric analyses. You will rewarded with the original Catalan tile that you worked with, plus its historical-artistic and scientific report. 2.Even more, you will give the name you want to that tile, and this name will be used as the official name in our future catalogue and works. 1.You will be one of the 10 lucky people that will visit the legendary Mosaic Martí Catalan hydraulic tile factory (http://www.mosaicsmarti.com/)! 3.Moreover, you will give the name you want to one of our tiles, and this name will be used as the official name in our future catalogue and works. 1.Choose your tattoo from hundreds of tile and go straight to Bhorn Tattoo and Design (http://www.bhorntattoo.com/)! 2.Even more, your name will figure permanently on our social network, website and app as one of the early patron of the project, you will give your name to one original Catalan hydraulic tile of our collection. 3.You will receive an official t-shirt of “The Tile Hunter”. 1.Choose between our four models of hand-made table made by a Barcelona artesan, with original Catalan tiles inserted on the top. 3.You will be rewarded with the official t-shirts of “The Tile Hunter’. This sum will be used in form of fellowship for qualified graduate and post graduate students and researchers that will analyse and cataloguing 500 tiles, one for tile type. The works will include: - art-history cataloguing - spectral analysis on tiles' colors The data will be used to create the digital version of the ‘Chart of Colours and Designs’ of the Catalan hydraulic tiles. Catalan hydraulic tiles are architectonic and decorative elements that during the last years become one of the main symbols of the estate speculation that affects Barcelona. Every day, entire pavements made of Catalan are dumped because of refurbishments. Notwithstanding their forms and colours, as well as their historical and cultural significance, it is very usual to come across bags full of debris and of Catalan hydraulic tiles. 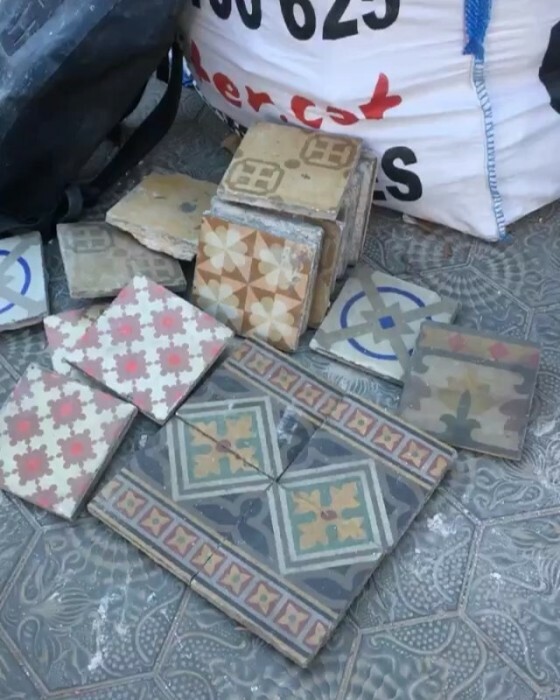 Joel (@i_rescue_tiles) has been searching and rescuing Catalan tiles for years on a voluntary basis, promoting public initiatives in order to make raise awareness of this peculiar cultural good, to valorize it, and especially to save it from oblivion. 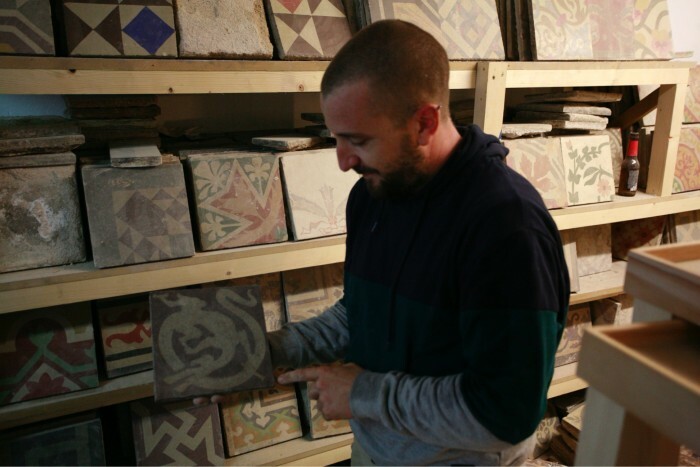 Year after year, Joel rescued more than 25000 Catalan hydraulic tiles, representing more than 1600 different types, and he is now recognised in the web and in the streets as the Tile Hunter. 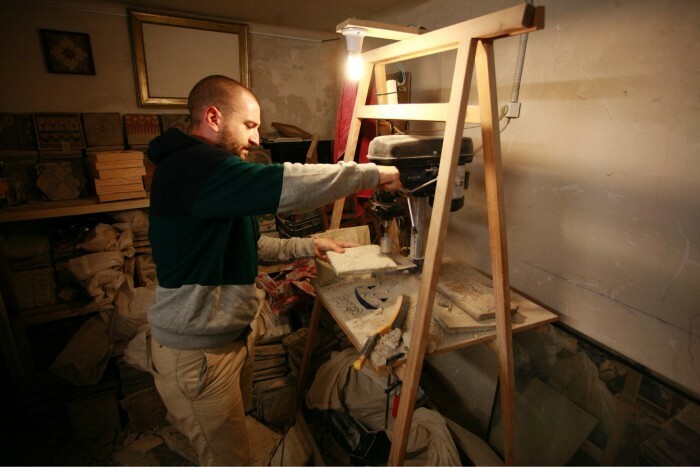 Mainardo is a researcher of the Universitat de Vic, and from 2016 he is carrying on a project focused on design and create open and low cost technology for cultural heritage conservation. Joel and Mainardo met each other while both were rescuing tiles across Barcelona, and they now share a dream: launch a project focused on search, rescue, carry on a technological and scientific study, and valorize the Catalan hydraulic tiles. So born the idea of the "The Tile Project", whose aims are to continue searching for Catalan hydraulics tiles, and rescuing these from destruction; as well as to continue the study from a historic-artistic and social perspective, and enhance scientific analyses for conservation and valorization by means of open technology . ‘The Tile Project’ born from the convergence of the ‘The Tile Hunter’ initiative and the ‘smARTS’- Smart technology for analysis and monitoring of cultural heritage materials’ project. 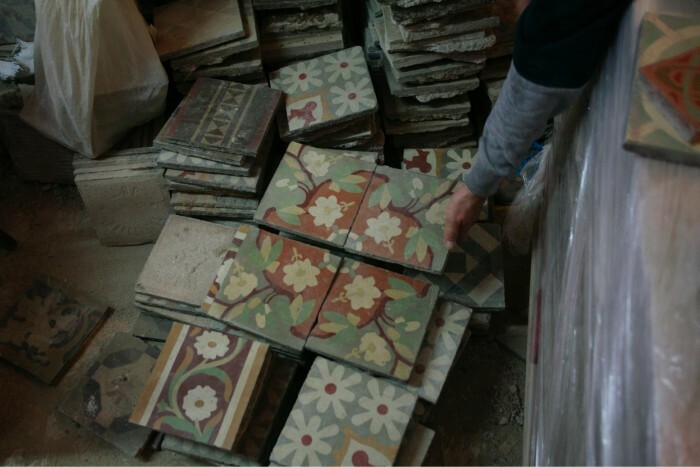 The former focuses its efforts in search, rescue, cataloguing and valorise the Catalan hydraulic tiles; the latter focuses its research in science and technology applied to Cultural Heritage conservation. organization of local promotional activities by involving territorial actors such as administration bodies and citizens’ associations (information days, workshops, itinerant exhibitions). analyses on tiles’ materials, that include the use of open hardware and sustainable technology for chemical and physical analysis aimed to study traditional techniques, and suggest best practices on conservation, restoration, maintenance, valorisation, and replica making. 3) creation of a preliminary ‘Chart of Colours and Designs’ of the Catalan hydraulic tiles: a unique chart that will include historical-artistic and technical recommendation as the results of the actions listed above, aimed to optimise preservation actions of these decorative elements according to cultural heritage conservation international standards, and provide guidelines for good practice to those artesans that are engaged in preserving this traditional technique. 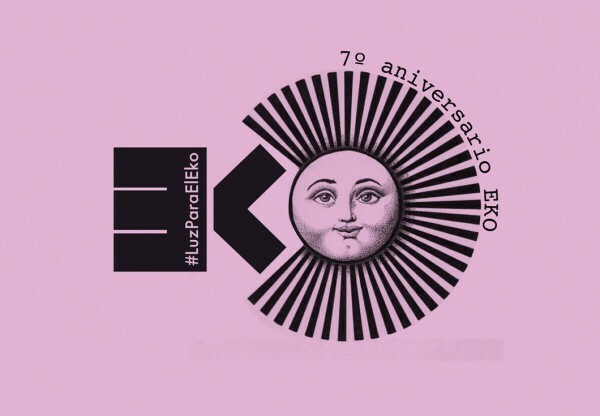 The main objective of this campaign is to cover as much as possible the expenses of the organization and promotion of the search and rescue activities, the historical-artistic and technological-scientific cataloguing, and the editing of the of the data achieved. Moreover, part of the funds will be destined to cover the communication campaign and results dissemination activities. All people involved in the project have yet started working on some of the planned tasks. Joel, with his ‘The Tile Hunter’ initiative, already collected thousands of tiles, and promotes the ‘Tilecrossing’, a live rescue game whose aim is to encourage citizens participation to cultural heritage preservation and valorization. Mainardo, within the ‘smARTS’ project, has already designed and prototyped an open hardware multi-task device for art’s material automatic mapping, analysis and monitoring of decay processes and conservation treatments. This machine will be used for automatically and scientifically mapping the aesthetic, morphological and colorimetric attributes of the tiles. This project need a financial boost to be definitively lunched by consolidating the preliminary work achieved, and start a more structured research in accomplishment to the goals stated. Moreover, with your help we will ensure an economic support for young researchers that will be involved in the project by offering research grants. 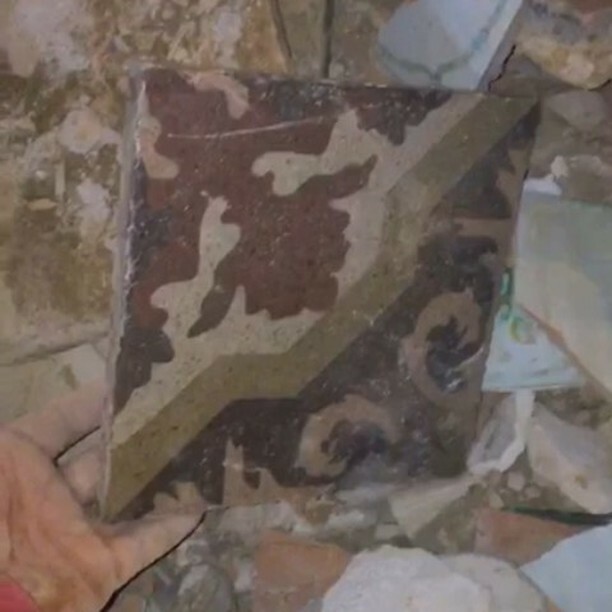 Joel has been searching and rescuing Catalan tiles for years on a voluntary basis, promoting public initiatives in order to make raise awareness of this peculiar cultural good, to valorize it, and especially to save it from oblivion. 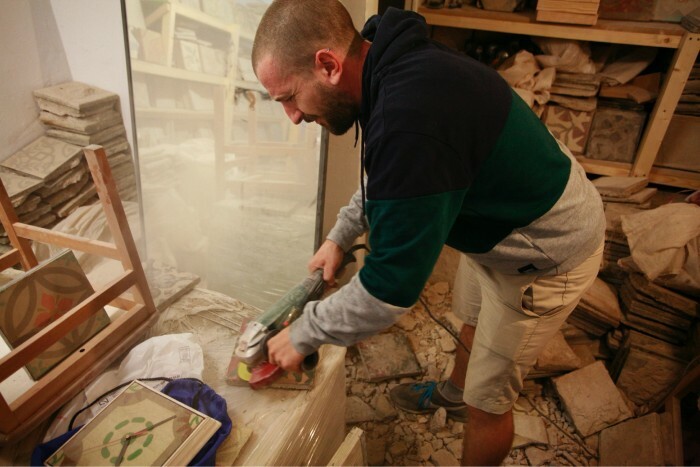 Year after year, Joel rescued more than 25000 Catalan hydraulic tiles, representing more than 1600 different types, and he is now recognised in the web and in the streets as the Tile Hunter. 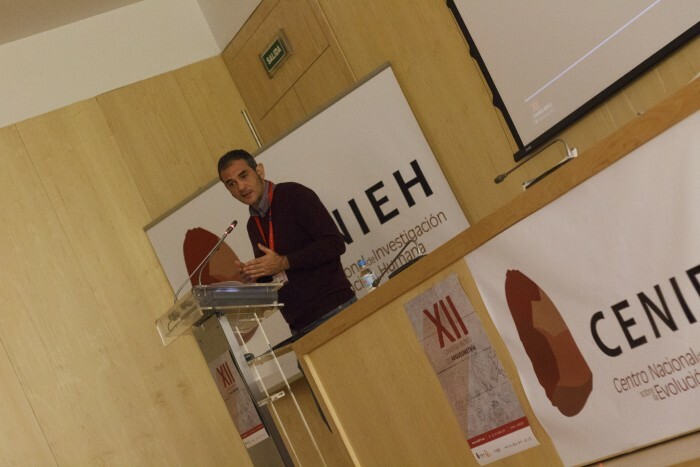 Mainardo is a researcher of the Universitat de Vic, and from 2016 he is carrying on a project focused on design and create open and low cost technology for cultural heritage conservation. Our team is made up of professionals and researchers involved in the ‘The Tile Hunter’ initiative and in the ‘smARTS’ project. ‘The Tile Hunter’ is an initiative based on voulntary activity focused on search, rescu and promote Catalan hydraulic. During the last 4 years, around 26000 tiles, including more than 1600 different types, have been rescued. These numbers are unique, and as far as we know, the ‘The Tile Hunter’ collection is one of the most representative Catalan hydraulic tiles collection in terms of quantity and quality. Thanks to its promotional activity on the territory, this collection is updated on a daily base, and undoubtedly destined to grow. Moreover, the ‘The Tile Hunter’ initiative is supported by a very capillary network that helps save tiles from destruction and, consequently, oblivion. 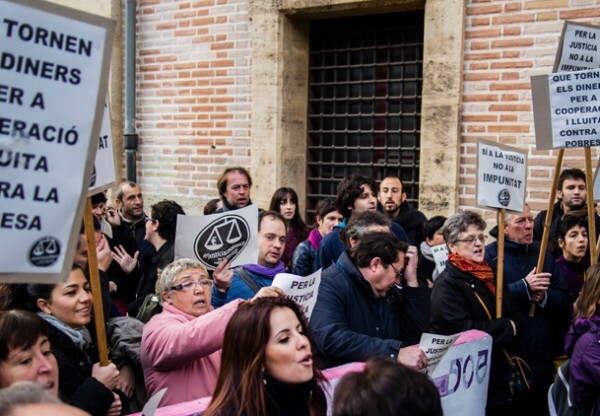 A large community flourished – and it is continuously flourishing – around the cultural project of ‘The Tile Hunter’, which efforts are now repaid by an increasing attention of both Catalan and Spanish mass media. is an interdisciplinary project that brings the field of cultural heritage conservation science together with mechanical, electronic and informatics engineering in order to design, prototyping and experimenting smart and economically sustainable technology for Cultural Heritage. smARTS aim is to prototype low-cost, free and open software and hardware, easy to assemble and easy to use, and fully customizable devices for mapping, monitoring and analysing surfaces in historical and archaeological artefacts and structures. 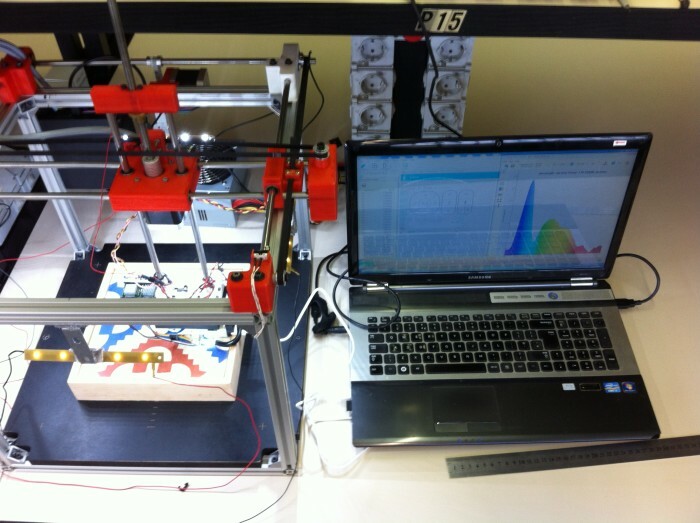 The project is hosted by the research group ‘Mecamat – Mechatronics and Modelling Applied to Technology of Materials’ of the Faculty of Sciences and Technology, University of Vic - Central University of Catalonia. This project takes advantage of the participation of the citizens by involving actively them in the "search and rescue" actions, and enhancing citizens' awareness towards Cultural Heritage and the need of its preservation. Furthermore, the use of self-prototyped, sustainable and open technology for the analysis of the Catalan hydraulic tiles is in line with the citizen science philosophy: data acquired will be freely available for knowledge sharing, as well as the hardware design will be made available under Creative Commons Attribution-ShareAlike 4.0 International (CC BY-SA 4.0) through open repository such as GitHub and Open Science Framework. All in all, every data produced during the project will be freely available thanks to the crowdfunding thorough the the tile hunter app and the the tile project website.